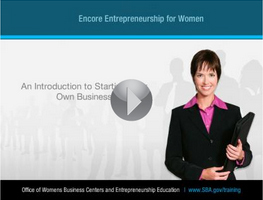 Did you know that MCSC & The Women’s Business Center also serves Monterey County? Well, we do! And we are expanding our services even further in 2019. Currently we are offering confidential small business consulting at no cost for both startups and existing small businesses. See below for more information and please call us at (805) 595-1357 or click on the ‘Request a Consultation’ button below. Also check out the consultant’s bio at the bottom of this page. We will also be offering multi-week business startup classes as well as workshops. Sign up for our enewsletter for more information. Are you a small business consultant or instructor and want to assist small businesses in Monterey County? Give us a call or send us an email! (805) 595-1357 or info@mcscorp.org. MCSC provides one-on-one no cost business consultations. With an elite team of consultants with expertise in marketing, organizational development, finance, management, etc. Consultations are offered as an individual service, or supplementary to our entrepreneurial training courses. “Start, Run & Grow Your Business” - a 12-week course will equip you with the necessary knowledge, tools, and resources needed to start and/or grow your business. The outcomes of these courses are a tangible business plan and fine-tuned business pitch. “Empezando” is our Spanish equivalent. MCSC offers monthly business workshops that are open to the public. They are designed to increase the understanding of important and current business topics/trends, in addition to providing a networking platform for the local business community. Workshops available in Spanish as well. Bob Kramer holds both MBA and MA degrees and is a 1971 graduate from the US Military Academy at West Point. Bob retired from the US Army in 1992 as a Lt Colonel and is a Verified SDVOSB with the Department of Veterans Affairs, and a Certified CA Disabled Veteran Business Enterprise (DVBE) and Certified as a California Small Business Enterprise/Micro-Business. Bob is the Founder and President of both Visionary Strategic Consulting, and The Alternative Board of Monterey and Salinas. Both are award winning cutting edge firms with high expertise in management consulting and executive coaching. Bob is certified in all areas of business leadership, team building, strategic and business planning, creativity, growth and profitability. Bob holds the distinction of Certified Management Consultant (CMC), the highest award in the consulting profession for service excellence. He has consulted with over 700 business leaders in every industry category in both public and private sectors from startups to public companies. He is a graduate of Harvard, Stanford, Berkeley, UCLA, Univ. of Michigan, Univ. of Chicago and Wharton advanced executive development business programs. From 1989 to 1991, Bob was an assistant professor of Behavioral Science and Leadership at the US Military Academy at West Point. Since 1999, Bob has served as senior counselor/consultant for the CA State University Monterey Bay Small Business Development Center (SBDC) as well as Adjunct Professor at the Fisher Graduate School of International Business (MBA Business Plans) at the Monterey Institute of International Studies (MIIS) in Monterey, CA.